Mention Japanese Pop Culture and the one biggest event in this side of asia that comes to mind would be the Anime Festival Asia. In its 3rd installment this year, it has once again lived up to its hype as the premiere Japanese Pop Culture event. And one thing I always look forward each year during the event is the regional cosplay competition where the best selected team from around the region come together on stage to showcase not only their beautifully crafted costumes and props but also their creativity in adapting a scene for use as a stage performance. From the initial selection stage on figure.fm, a representative for the respective country is chosen and flown in to the finals held during day 2 of AFA X. Packing in a full house, these contestants then wowed us with their costumes and performance on stage. From elaborate costume armors to huge weapon props and not forgetting fighting moves on stage, each team definitely deserved to be there on stage. 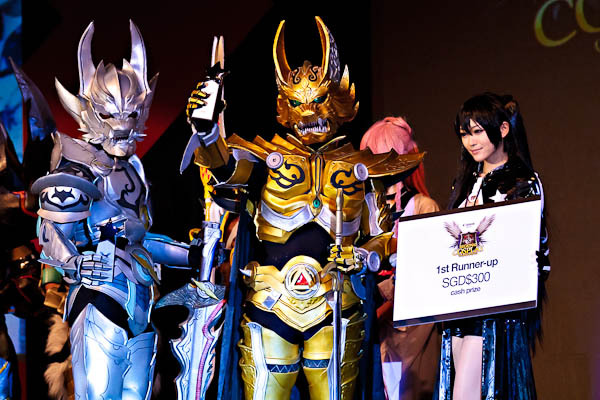 But there can only be one winner and this year the title goes to Team Thailand and their excellent adaptation from the hit game series, Monster Hunter. From the detailed armor costumes to the stage props that brings the world of monster hunter to life, for a moment there I thought they made a movie out of the game. Team Thailand definitely made this Monster Hunter fan happy that day. 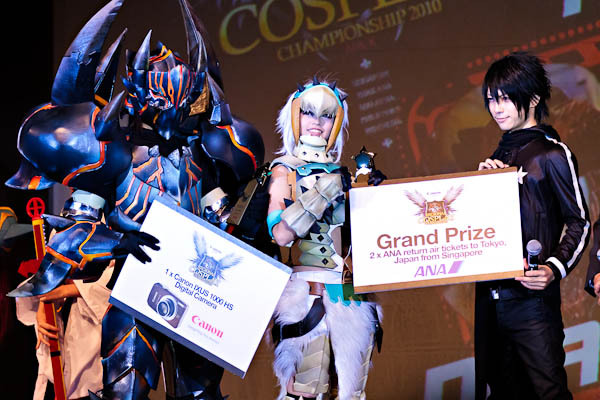 With the bar getting higher each year, I am sure looking forward to next year’s cosplay competition.